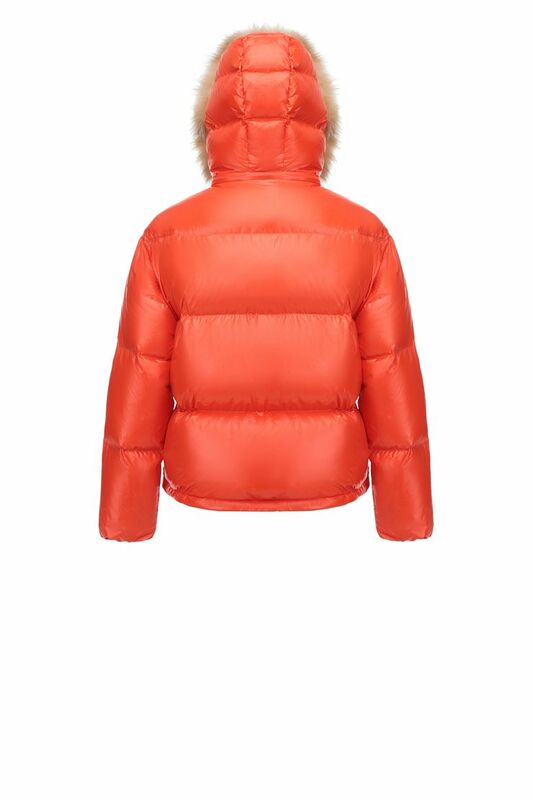 Hetregó Hiara red puffer jacket is the must have of the season: this oversized piece of outerwear is both the warmest and the coolest style to be caught in this winter. 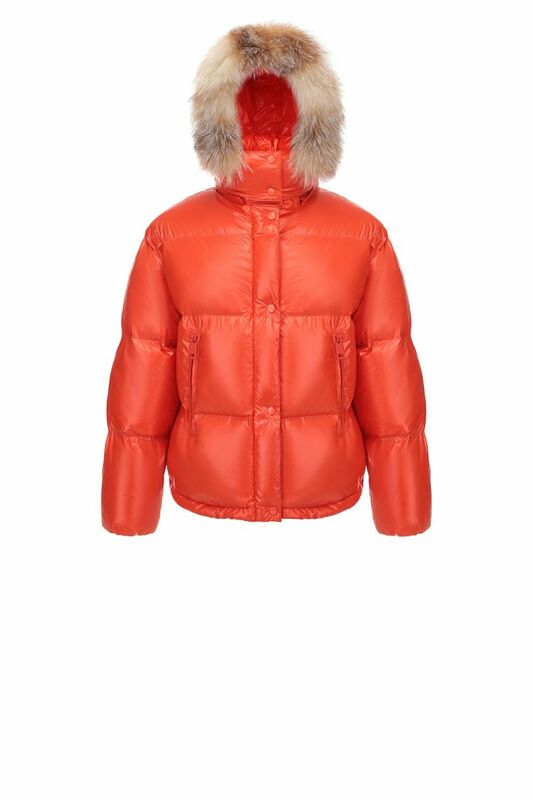 Padded in goose down, this coat features a central two-way zipper, two side zipped pockets and an elastic drawcord hem. 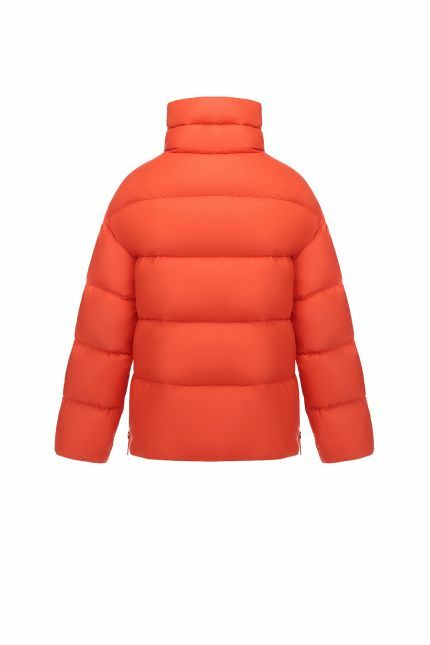 This puffer jacket can be easy adapted to your outfits thanks to the possibility of removing the hood. 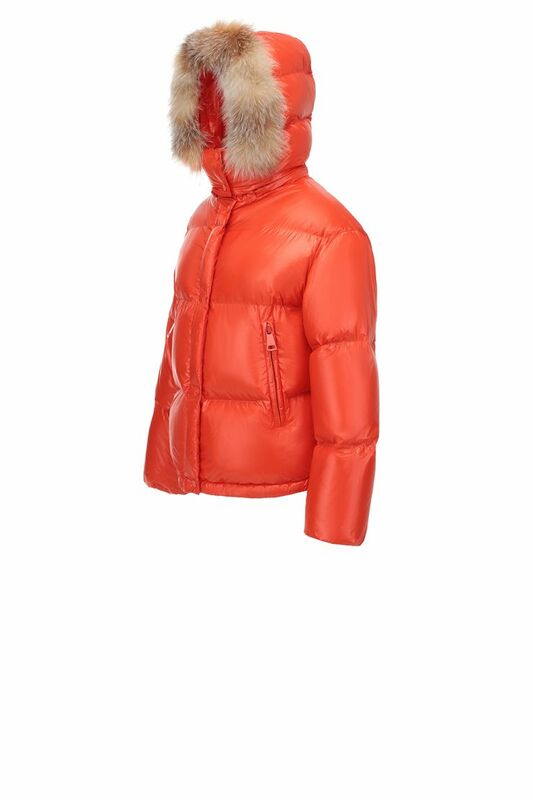 Additionally, also the natural fox trim hood can be removed for a minimal style. 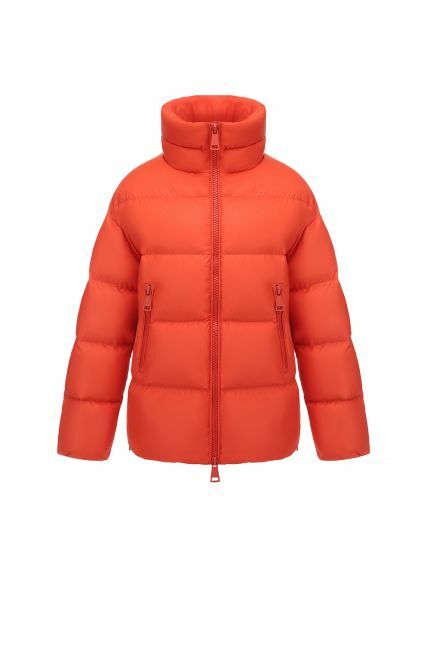 This windproof and water-repellent short jacket is ideal for winter and combines warmth with style.